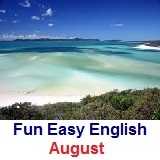 ﻿ Fun Easy English - new classroom free online classes english language lessons speaking listening writing reading august. 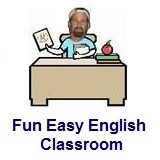 Grammar in the classroom this month focuses on prepositions and conjunctions. Pronunciation of consonants continues.